Thanks to all those who entered and if you didn't win, you should really get one of the ionators! I LOVE mine! Ever struggle between wanting a clean house but not having the time or energy? I really, really want a clean house but it's so hard to be motivated with so many other tasks. I have about every type of cleaner you can imagine on my shelf but since blogging, I became worried about the chemicals and other harsh ingredients added to different cleansers. 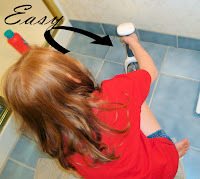 I first made the switch over to one of those steam mops that uses steam in my first attempt to be more eco-friendly too. That was one way to clean a particular area but I still had to figure out how to clean the other 70+% of areas that needed to be clean. This is where the Activeion ionator HOM™ came into my life. If you haven't heard about it, it's the up and rising superstar featured on PBS, Forbes.com, The Doctors and other shows to include many other endorsements. The ionator HOM™ works using two scientific concepts of electrolysis and electroporation. Activeion is the first to combine both technologies into one hand held device. The benefit to our families and ourselves is you get an eco-friendly, non-toxic, chemical free cleaning product that will also save you money! When I first received the ionator HOM™, it arrived ready to go. All I had to do was release the small reservoir tank, fill it with water and start using it. The only draw back is it does use water fast so you have to refill it frequently for large jobs but on the flip side, it assures you don't leave water sitting in the tank long. It was so easy, my seven year old was using it and actually liked it since it looked like something from Star Wars (her words). 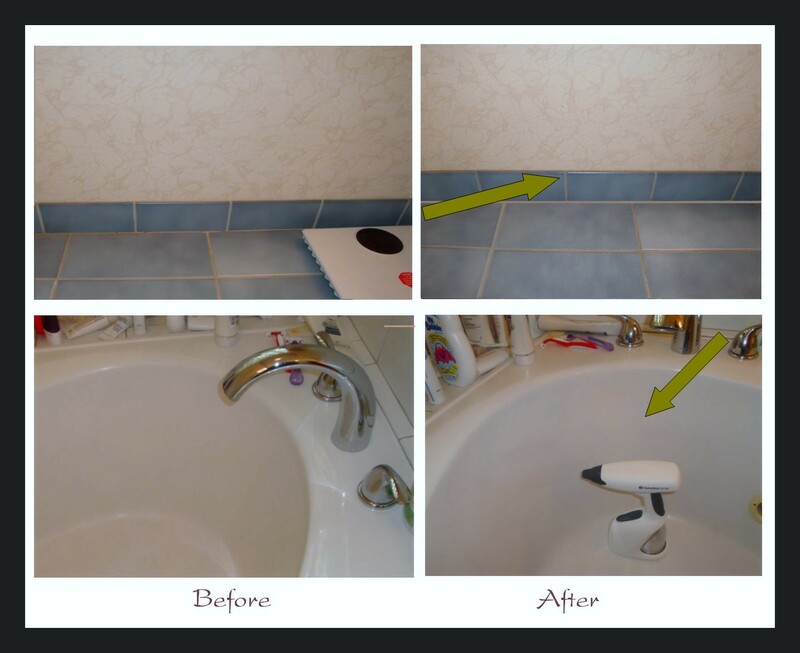 We experimented with cleaning the shower area which desperately needed cleaning and the tub. The pictures don't do it justice but it was amazing to see how water did such a great job cleaning! It worked just as well as some of the other name brand cleaners I usually use without the harsh chemicals or ingredients. I had to try it out so next I went to the kitchen garbage area and tried it out on the doors nearby and it was amazing how clean they were. Tomorrow, I plan on using it on the inside of my car as it needs a good cleaning! It's definitely my new favorite cleaning product and since we are trying to save money, it will also help with not having to buy anymore cleaner. I would recommend this to anyone wanting an eco-friendly product, a better choice for their family or to save money. It's a great product! It cleaned the interior so easily and the wheels were a breeze! No chemicals, no other product other than water! One winner (US) will win their very own ionator HOM™ ! Visit www.activeion and return here to leave a comment on something you learned about Activeion and/or tell me how your family would benefit from winning the ionator HOM™ . Like Activeion on Facebook, leave a comment that "Health, Beauty, Children and Family sent you" and how the ionator HOM™ would benefit you or your family (example: Ø My family would benefit from the time savings of using an ionator HOM. I just entered to win one at Health, Beauty, Children and Family! You can too: http://bit.ly/cfLGuS). Follow Activeion on Twitter and post a tweet that includes @activeion, @stayingyoung2, the link to this giveaway and the hashtag of #green, #chemicalfree, #nontoxic or #ecofriendly (example: Activeion cleans & sanitizes your home using tap water. No chemicals! @activeion @stayingyoung2. Win one: http://bit.ly/cfLGuS #green). Giveaway ends 10/8/10 at midnight (EST) - US only and winner will be chosen by random.org. Winner's information to include Twitter handle, Facebook profile and e-mail will be provided to the sponsor. *Disclaimer: I received a complimentary product for the purpose of this review and giveaway. The opinions are of my own. I would love to have this for my family. SInce having kids, I do not like to use harmful chemical cleaners around the house. We usually use vinegar and water, but this looks so much easier and still kills 99.9% of germs. I like Activeion on FB- Nicole Krebs Balogh- and posted on their wall. This would truly benefit me because I could make sure that everything is clean and germ-free without using all those chemicals! Would love it - thank you! I like Activeion on facebook (ChristineFidance) and I posted on their wall. I learned that the King County Trasit System uses Activeion to sanitize. I'd love to have a chemical free way to sanitize my home. I learned that the ionized water has a slight electric charge which lifts dirt like a magnet and kills 99% of germs. 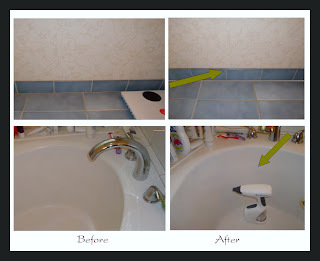 I like to find alternatives to harsh cleaners, and glad to see happenings that are comming available! I have wanted one of these since I first hear about them. I hate using harsh chemicals to clean and cleaning with this would help my asthma. Uses electrical charges to temporarily alter regular tap water so that they clean and kill germs – without using cleaning chemicals. FB liker of Activeion. Commented your site referred me. It's green cleaning which is great. I live in a older trailer and it is so hard to keep clean. Especially the tub and shower doors. I would love to give this a try. I bet it would cut down on my cleaning time anormously. I follow through GFC! We could really use this as we are always worried about whether surfaces are clean or not! I liked on FB and posted! I follow on twitter and tweeted! My family would benefit b/c we'd save a lot of money not buying cleaning products! I just love that it doesn't use any chemicals! Amazing that one could get things clean with just water with thiss neat device! My family could benefit because we are trying really hard to be green. We've cut our electric bills in half, use reusable bags 100% of the time, and recycle everything, but I haven't been happy with the green cleaners I've tried so far, so I tend to fall back on the chemical ones. I would love to win this and be able to get rid of my store cleaners! Our family could benefit by eliminating many of the chemical products that aggravate our allergies and asthma. This would be such a godsend for us. I follow activeion on twitter and tweeted. I follow activeion on Facebook and commented. We would benefit from using ActiveIon because my dh has emphysema and allergies, and OTC cleaning agents have a detrimental effect on his health. I would love to try this out on some really tough spots around the oven! I visited Activeion and my family would benefit from the Ionator HOM because I want my kids to be around the least amount of chemicals as possible! We would also save money with this and it would be perfect for the ferret cage!